For most people autumn in Greenwich means crisp walks amongst trees and colourful leaves in the park or strolls along the side of the Thames with obligatory stops in the many pubs along the way. For me however it can only mean one thing, the annual Insight Astronomy Photographer of the Year awards! I was lucky enough to be shortlisted and as an added bonus my daughter was placed in the Young Astronomy Photographer of the Year competition. We had our invites and made one of the shorter journeys to the ceremony, Wimbledon being much closer to Greenwich than Australia where the winner of the Galaxies prize had travelled from. 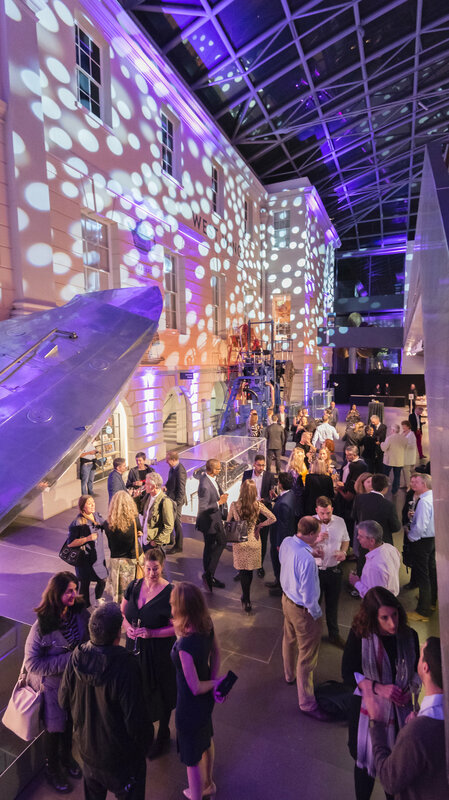 This year marked the tenth anniversary of the competition so to celebrate the awards and associated exhibition have moved down the hill from the Royal Observatory to the National Maritime Museum (NMM). The new venue means a larger space in which to host the ceremony and, more importantly, a much larger exhibition gallery enabling this years winning photos to be displayed alongside winning images from previous years. The exhibition is scheduled to remain in the National Maritime Museum for the next few years at least so the extra space (no pun intended) will be a continuing benefit. 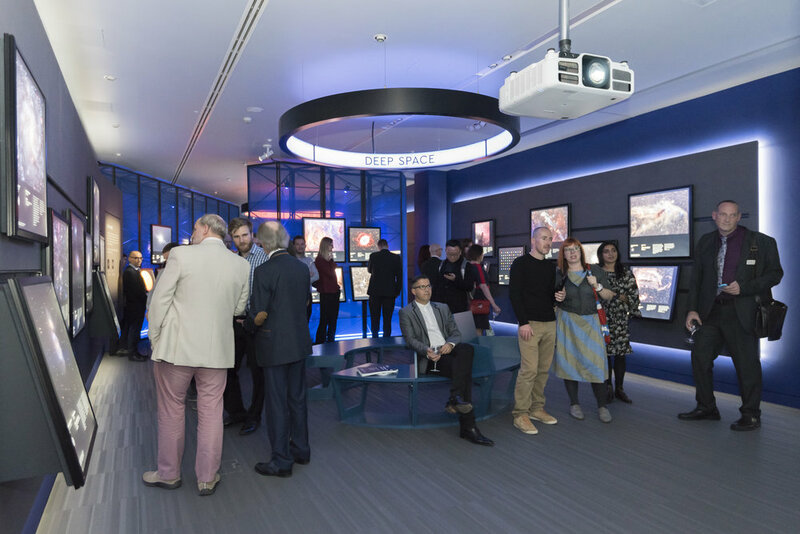 Freeing up the gallery at the Royal Observatory will mean that a number of themed photographic exhibitions can now be staged celebrating different aspects of space and astronomy as well as marking significant anniversaries. The awards evening started with a champagne reception in the main entrance hall of the NMM. A chance to catch up with old friends, chat with some of the judges and peruse some of the museum’s impressive collection, though my daughter Thea was slightly concerned that the large silver speedboat you can see on the left of the image above would slip it’s cables and fall on her head! After an hour of mingling it was up the stairs to the Great Map upon which round tables were set and a stage had been erected, very different from previous awards ceremonies which took place in the more intimate surroundings of the Peter Harrison planetarium. The awards were hosted by the impressionist and comedian Jon Culshaw which always guarantees an enjoyable evening. The announcement of the prizes (or calling the bingo as Jon called it) being peppered with contributions from Brian Cox, Patrick Moore, Carl Sagan & Tom Baker to name a few, all voiced with stunning accuracy by Jon. 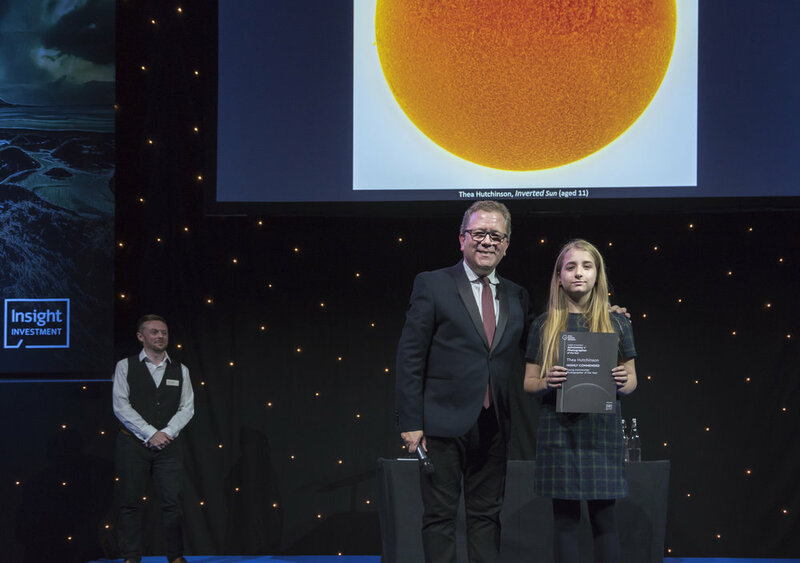 The category we had been most eagerly awaiting was the Young Astronomy Photographer of the Year and luckily it was the first category in which the winners would be revealed so we didn’t have to endure the suspense too long! The quality of the images in this category never ceases to amaze me and always fills me with hope that the next generation of astrophotographers is more than capable of moving this hobby forward in new and exciting directions. Fabian Dalpiaz deservedly won the category with a beautiful skyscape featuring a moonlit landscape with a meteor lighting up the sky, Thea was placed highly commended for her image of the ‘Inverted Sun’ for which as a family we are justifiably proud, she’s already planning next years submission. It sounds cliched but it is true that every year the quality of images seems to improve, over the rest of the night we were treated to some amazing images, all deserved winners. I’ll make a special mention of Martin Lewis who was placed first and second in the Planets, Comets and Asteroids category with his images ‘Grace of Venus’ and ‘Parade of the Planets’, having won this category last year I was delighted to see Martin take over the title. Two other photographers really caught my eye, Nicolas Lefaudeux who won the ‘Aurorae’ and ‘Our Sun’ categories with two stunning compositions, his solar eclipse image displaying a mind boggling dynamic range, and Mario Cogo who was placed first and second in the ‘Stars and Nebulae’ category. His image of Rigel and the Witch Head nebula is both technically and aesthetically brilliant. The overall winner was taken from the category ‘People and Space’ an absolutely beautiful image ‘Transport the Soul’ showing the Moon and Milky way lighting up the alien landscape of Moab, Utah taken by the very talented Brad Goldpaint. Unfortunately Brad couldn’t be there on the night to collect his prize but we were treated to a video message from him where his excitement was clear to see. After the ceremony was over Thea and I made a quick dash downstairs to a small corner of the exhibition where we were to be interviewed for the Royal Observatory’s post awards Facebook Live stream. Thea gave a great interview with me standing proudly beside her, then she was off for a quick interview with Sky at Night Magazine, hopefully this new found fame won’t go to her head! Once the interviews were over we had a chance to have a proper look around the new exhibition space and we weren’t disappointed. The best thing about the increased size of venue is that the exhibition can reveal itself to you, each time you turn a corner you are treated to more and more stunning images. It has also meant that the photographs can be presented on a large scale and that images from previous years can also be shown, sort of a ‘greatest hits’. We were all hugely impressed, though the Royal Observatory still holds a special place in my affections I think the move to the National Maritime Museum has further enhanced this amazing competition. As a footnote the next day saw an early start to travel back to Greenwich to attend the awards brunch, a chance to eat croissants, drink coffee, chat with the judges and have a more leisurely stroll around the exhibition. Thea and I also took the opportunity to tour the other exhibition spaces in the National Maritime Museum, particularly enjoying the Polar Worlds gallery. Well worth visiting, on your way back from the Royal Observatory of course! The Thursday night saw me making a third trip to Greenwich in as many days to appear on the panel for the fourth ‘Evening of Astrophotography’, a great night with some excellent questions from the audience. Make sure you come next year, enjoy the exhibition and be inspired to look up and try to capture our beautiful night sky for yourself. What Scope Should I Buy?